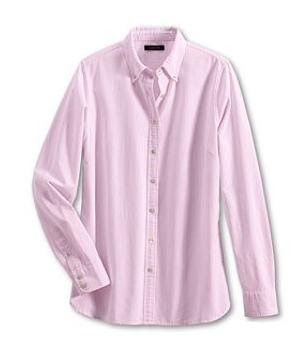 Hands-down an all-time great casual shirt, the Washed Oxford is part of Lands' End heritage. The style we’ve brought back is inspired by the classic man’s Oxford, but we’ve updated it with a twist – so that it’s preppy, feminine, more easygoing. The fabric’s signature white-flecked weave gives colours a subtle freshness; stonewashing helps the shirt feel comfortably familiar, even from new. But best of all, it simply gets better with age. Machine wash, tumble dry; warm iron if needed.